During class days, we offer Beginner Level 1. At this level we only cover the basic step, how to lead/follow, how to listen to the music and one of these 3 moves (Cross Body Lead, Men’s Right Turn, or Ladies Right Turn). A full hour to cover the fundamental steps. We also offer Beginner Level 2 class simultaneously so our students can test and advance their dance skills into that level. Please arrive 15 minutes before class to fill up a new student form and to check in. No registration needed. Download the OC Salsa App . There you can access and download all the salsa videos with the content we use to teach. The content is FREE. No partner, dance experience or pre registration needed. Please arrive 5 minutes before dance class to fill up a new student form. Pre registration is not required. There are 2 Bachata Dance Classes taking place simultaneously, one room for beginners dancers and the other room for intermediates. When you come to our dance lesson for the first time and never danced before, you will be placed in the beginner class (no partner or experience needed). Each dance class covers the basic steps for the first 10-15 minutes. After covering the basics, students will learn a short set of dance moves. Please arrive 15 minutes before class to fill up a new student form. Pre registration is not required. Download the OC Salsa App . There you can access and download all the Bachata videos with the content we use to teach. The content is FREE. No partner, dance experience or pre registration needed. Bachata it’s a fun and easy side to side dance form the Dominican Republican, very popular at Salsa clubs. It’s easy and fun to dance. Come try it for yourself and join the largest Salsa and Bachata School in Orange County! Live in Orange County and want to learn how to dance one in one, fast with a professional instructor? Give our private lessons a try and get results that are tailored to you, at your own speed and schedule. We offer competitive prices and discounted packages (same price for one or two people) in all of our private dance lessons. You can learn one or multiple dances, with our flexible schedule, and you don’t need a dance partner! Our probate lessons are fun and are 50 minutes long. 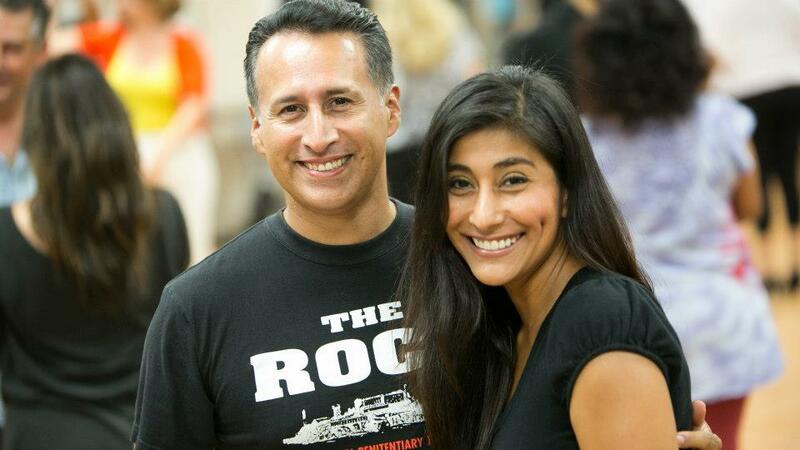 If you would like to learn how to dance with a program designed just for you, private dance lessons at OC Salsa are for you and we will help you get there. Give us try! Private lessons are $95 each, 10 for $800 ($80 a class) or 20 for $1400 ($70 a class). We recommend to take one and then decide to continue one at a time, or a package program to help you achieve your goals. Send us a message to request more information and book your first private lesson today. No Partner or experience needed. You will learn at an easy pace, the basic steps, how to listen to the music, how to lead and follow, hadn’t connection, and the fun Salsa moves: Cross Body Lead, Right turn and Left turn. Super fun! 70% of this class are students who come for the first time without as partner, so w rotate everyone. This who wish to not rotate can remain dancing together (couples). Only $45 at the door at 2980 Mcclintock way, Costa Mesa. CLCIK HERE TO PRE PAY AND SAVE $30 when you pre pay online.